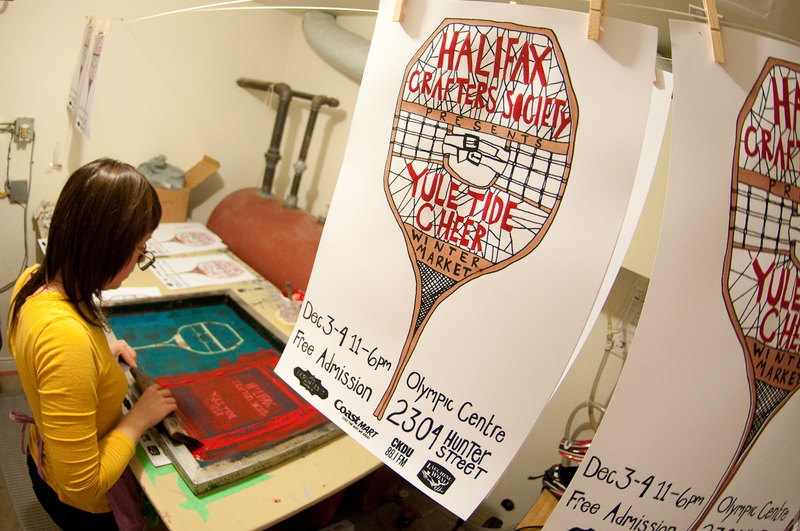 Meet Alissa: one half of the masterful team behind this year's winter market poster. 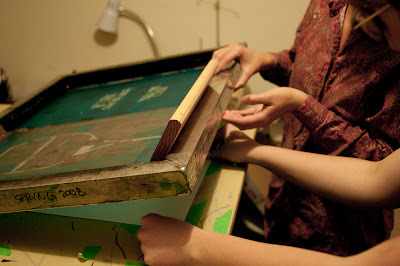 She shares a little bit about collaborating and gives us all a sneak behind the scenes with some beautiful photos of the printing process. Chantal and I have collaborated on a few projects now. It's always nice to have another person around to bounce ideas off of and another set of eyes. We were thinking of things we associated with winter while trying to stay away from any religious subject matter. There are so many great winter activites to do (many of them that I haven't tried yet but am very eager too) like dogsledding, skating and of course snow shoeing. 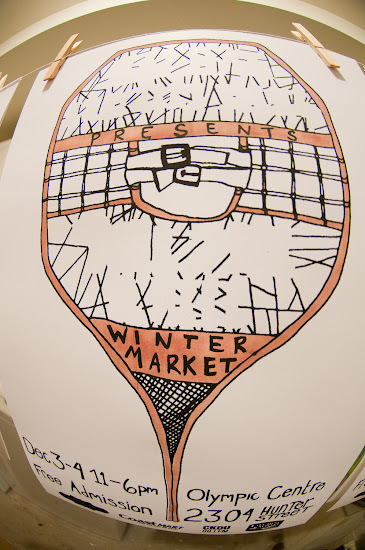 We both had really liked the idea of snow shoes and we also were taken with the wonder posters made for the Renegade Craft fairs - I find they always do a good job of making the text interesting. I illustrated the various elements for the posters and than we both sat down and played around with it in photoshop until we got something we liked. 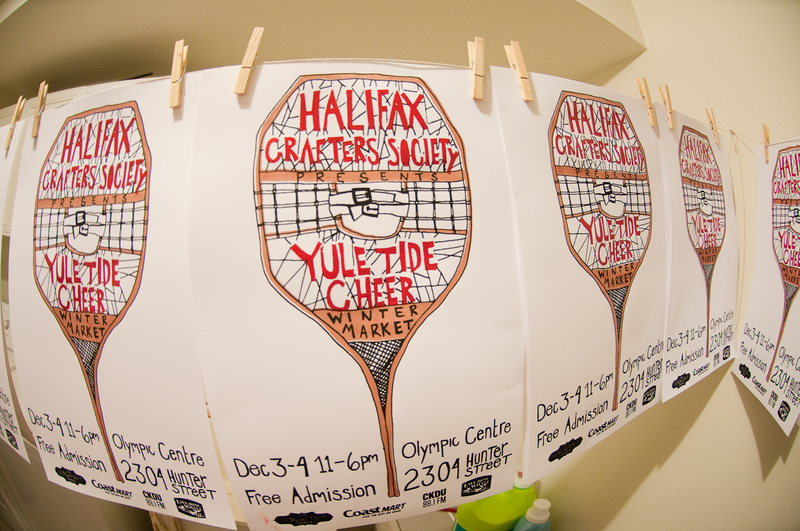 Many of the posters you'll see around town were hand silk screened by Chantal and I in my studio here in Halifax. Thanks to all their hard work you can see the posters pop up all around town reminding us that the Yule Tide Cheer Winter Market is just around the corner! Alissa and Chantal are great crafter. Both of them share collude and gives us all a sneak behind the scenes with some wonderful images of the printing process.